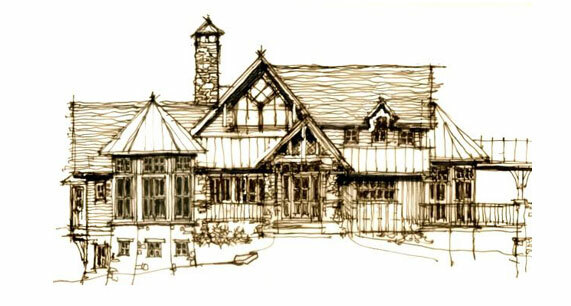 Gather your plans and ideas to contact Mill Creek for a casual conversation about your design. We have many standard plans in our design library. We may direct you to something that is perhaps just right for you. More than likely, you’ll want to customize it to some degree—you may like the style or the exterior and like the floor plan of another or you may like everything about a specific plan but need more space. Everyone brings their array of needs and expectations to the drawing board. The design group at Mill Creek has done thousands of designs and can guide you in the path of your design. At Mill Creek, we provide a variety of services and products. With eco-friendly materials, we create timeless works that demonstrate our commitment to quality and craftsmanship in both design and construction. 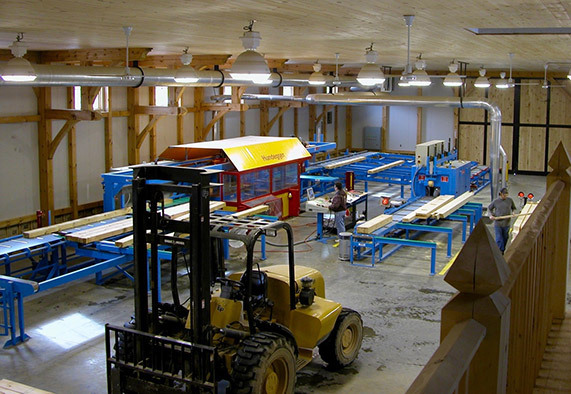 Mill Creek operates from a timber framed office and shop buildings which beautifully display our workmanship and commitment to our timber structures. Skilled craftsmen hand select and visually grade each timber carefully locating it in a project plan to show off it’s greatest beauty. Every timber is individually planed then cut and labeled according to plan. Labels identify it’s location in the frame and the pieces are carefully packed to protect it in transit to the building site. Planning is the key to building the structure you expect. At Mill Creek, we have three processes available to clients. Standard Designs — The standard designs from our design library are customizable for variations according to your list of needs and requirements. 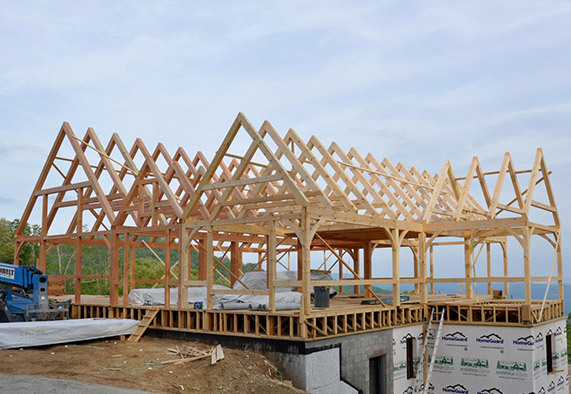 Custom Designs — A custom design is a common choice for those that have specific needs and requirements in size, style and/or hybrid timber frame structures. This category is for residences as well as special projects that may not be of a residential nature. Special Projects — This area is typically used by builders, developers, architects, building designers and other design professionals. 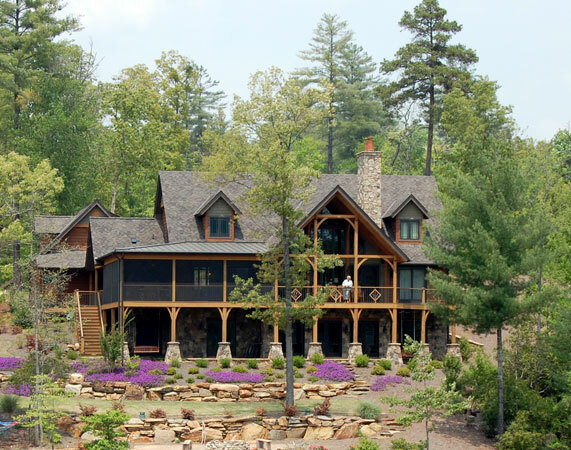 For more information, please contact Mill Creek to define and explore what Mill Creek timber framing can do to fulfill the spectrum of vision that you have.